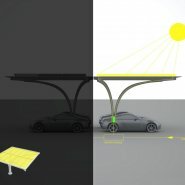 The Solar Canopy/EV Dock harvests solar energy to power electric or electric/hybrid cars, bikes and scooters. 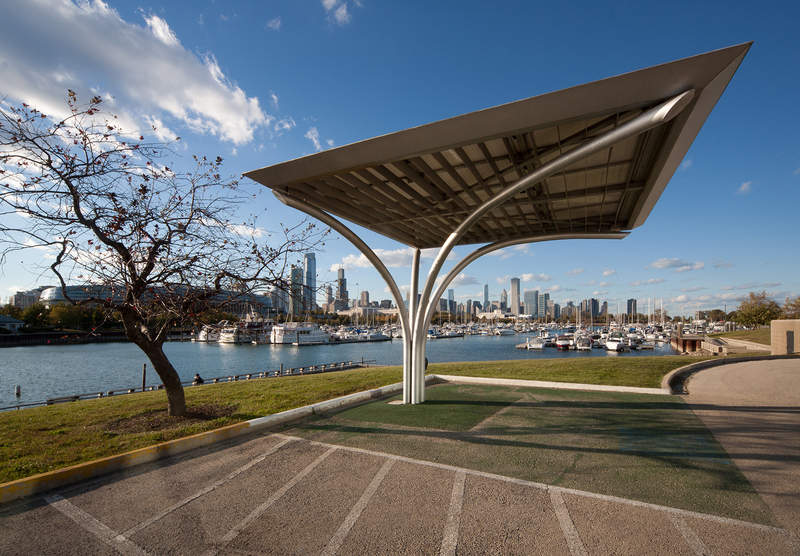 The dock features photovoltaic panels and an integrated conduit through which energy is transferred, either to a power grid or to neighboring buildings. 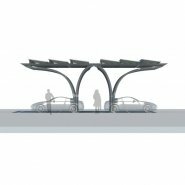 The canopy was designed to work as a single structure or multiple structures linked back-to-back. 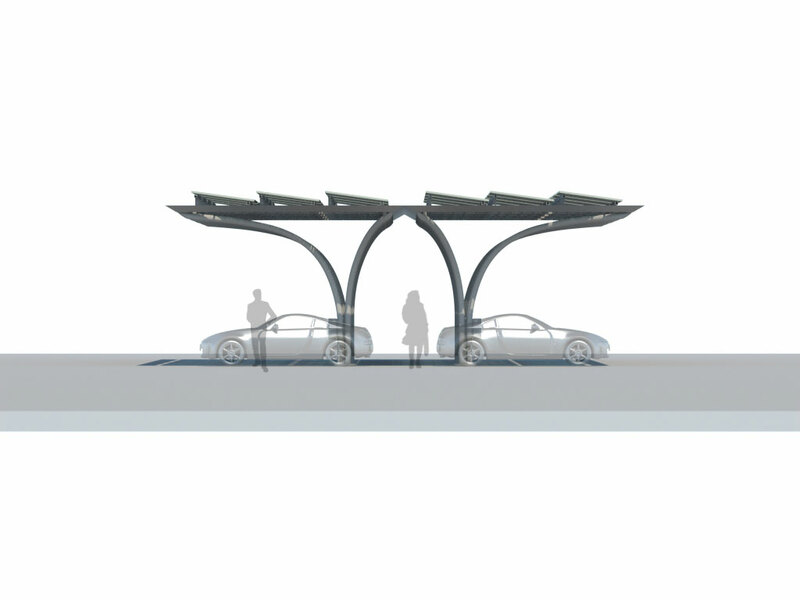 When linked back-to-back, the canopies create a shaded corridor for users in the spaces in between. 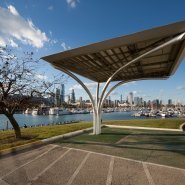 The canopy will also shade vehicles that could be charged over the course of a work day, offsetting the carbon emissions associated with commuting to work. 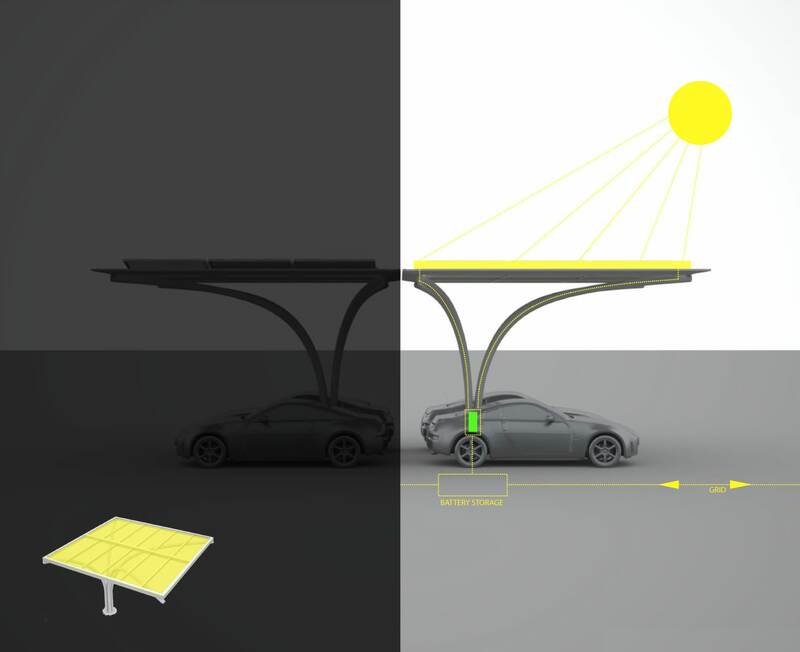 The Solar Canopy/EV Dock was designed to incorporate a range of photovoltaic technologies at varying orientations to accommodate installations anywhere in the world. 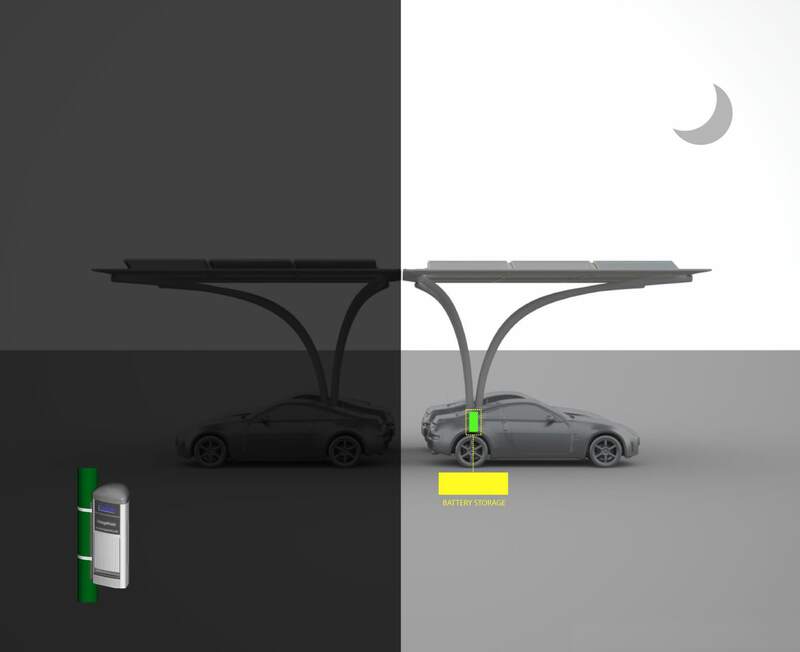 Using the industry-standard mono-crystalline PV module, 4000-6000 kWh of carbon-free electricity is generated from a structure covering two vehicles. 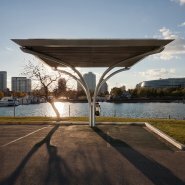 This generates enough energy to provide up to 30,000 carbon-free miles per year, or about the amount required for a 20-mile, or 30-minute, work commute each way, for both cars over the entire year. 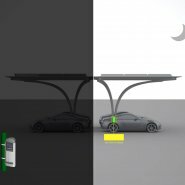 In large-scale applications, employee parking lots could be converted into giant plug-in charging stations, with surplus energy donated or sold to the power grid. 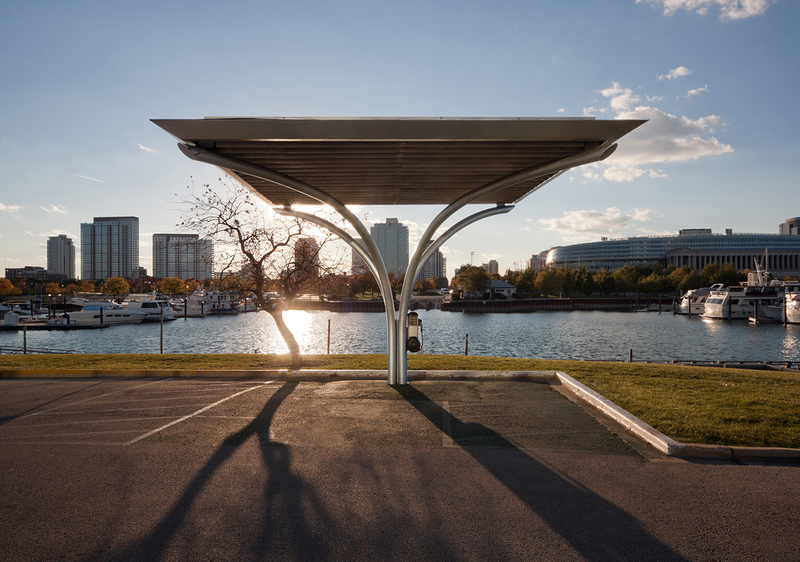 The canopy also has the potential to collect rainwater, which could irrigate adjacent agricultural or park lands. 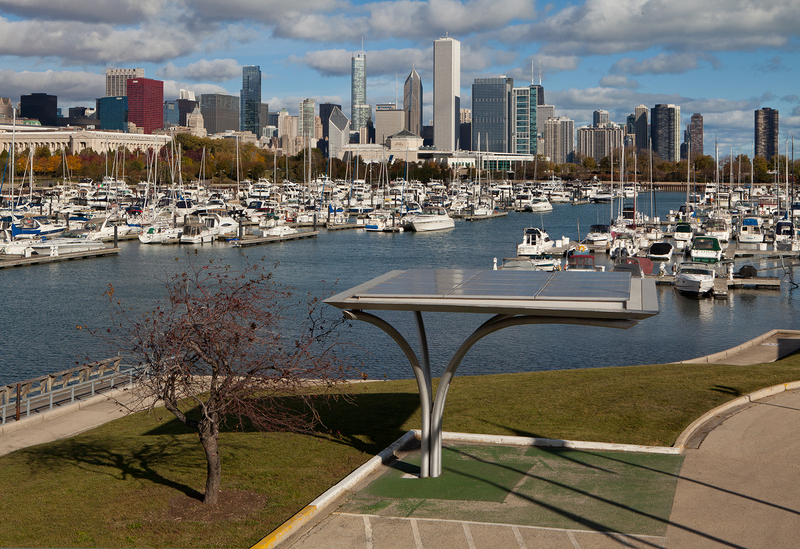 The Solar Canopy/EV Dock, which also incorporated a Columb Technologies charge-point system, was viewed by members of the International Olympic Committee during its visit to Chicago on April 5, 2009. 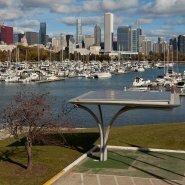 Built at Douglas Park, it was recently relocated to Northerly Island, where it is used daily by the City of Chicago to fuel the city’s fleet of electric/hybrid vehicles.